I don't know, it's funny when it's the AAF but pictures like that make me nervous for the XFL in some of their bigger stadiums. It will be easier to make 20 to 25k look better in Dallas, Houston, DC and LA, because those are not large stadiums. Perfect sizes. Especially DC and LA. NY, Tampa, Seattle and St. Louis could be tricky. It all depends on marketing and how you present the teams. I would point to MLS as a league that does a good job masking attendance in larger stadiums. The source for the table takes you to the aaf.com home page. So the AAF averaged 19.2k on the opening weekend. XFL 1.0 averaged around 23k the entire season. So more excuses coming from Charlie Ebersol. Just because you plan to make money off of your tech doesn't mean that you don't have to make money off of a TV deal, or advertise your product so more people know about you. Judging from the 10%, the AAF has done a poor job hastily putting together a football league. While people say that the XFL should have gone first, Vince McMahon knew what he was doing by waiting. Yep, it was a hastily put-together deal indeed Rick. 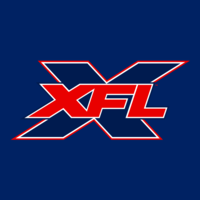 The XFL's fanbases are growing as we speak, and they'll continue to grow as head coaches are made official (see XFL Dallas) team names, logos and colors are revealed, and the star players are signed. When all that happens, the XFL will have about 10 months to grow their fanbases. In the AAF fans didn't know who their QB was going to be until November 28th last year. That's about 2 months to build a fanbase. What's our understanding of the timeline on how all of this went down? I was under the impression that McMahon announced the XFL relaunch when he did to get ahead of the AAF's announcement for 2019. Is that wrong? Did the AAF push things up in order to take the field ahead of the XFL? There's 2 timelines that people theorize. The first is that the AAF was planning behind the scenes and when McMahon figured out that Ebersol was going to start a league, he wanted to get ahead of him by announcing first but giving himself more time so that he could set it up right. The second is that the AAF was made under the influence of the NFL to knock off the XFL because the XFL wasn't going to work with them as a development league. People say that the AAF having the CBS deal before they announced points to the first scenario since it shows that they looked around for a deal before settling for nothing with CBS. Also in McMahon's first announcement it did seem like he didn't know much details about what he was going to do. He had no staff set up. The AAF had their front office set up. The evidence of how plain the AAF app looks, how hastily everything was done, how they had no cities, coaches, team names, stadiums set up at their announcement, or how some of their TV deals were done last second points to the latter timeline. Also there were no rumors of the AAF showing up at all. Either way, McMahon was smart giving himself two years after a public announcement to start the league. Having 1 year to announce everything and get fans for your league isn't ideal. Having 1 year to set things up, and then 1 year to market sets up more attention to your league before you kick off the first time. As for what happened behind the scenes, we may never know. There's also the theory that both planned to work together until something happened (your #2 - NFL involvement?) which led to your theory #1. Either way, I don't think the AAF was as ready as they lead us to believe and the XFL will have been pretty transparent with their process since the announcement. So the home side of the Iron-Stallions was packed, but the road side was desolate, pretty much empty. I'm going to wait for the attendance numbers before I make any assumptions though.